Solving the logical puzzles is very much fun. Here is another logical equations brain teaser in which your challenge is find the logical pattern in the given equations and then solve the last equation. Can you solve this logical brain teaser as quickly as possible? 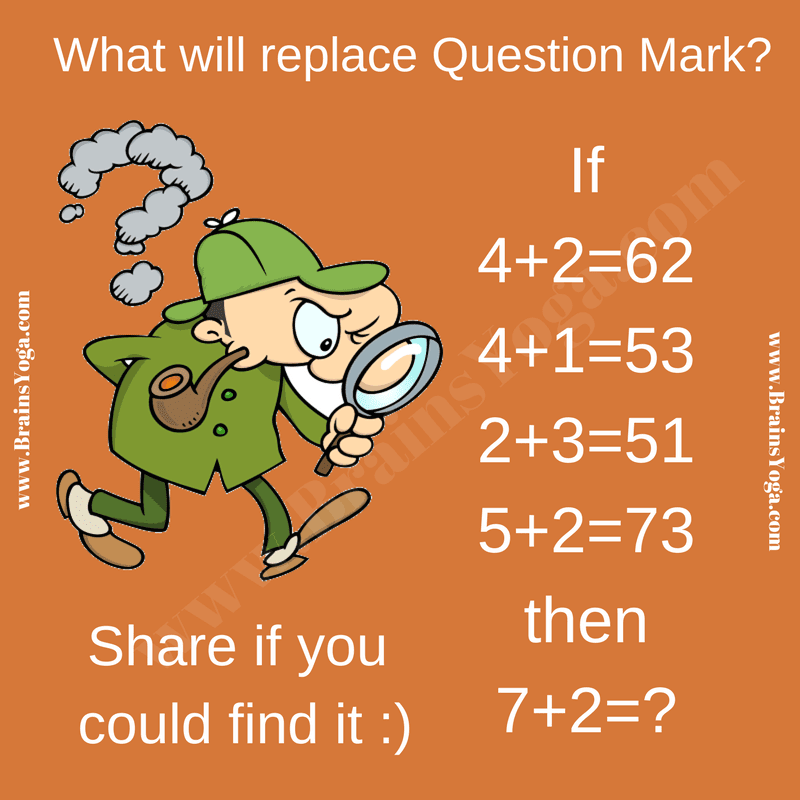 What will replace Question Mark? The Answer is 95. First number on right side is addition of numbers are left side and second number is there absolute difference.